Point Source Audio has announced the CO2 Confidence Collection of microphones. The new class of wireless microphones all have dual elements offering built-in redundancy. 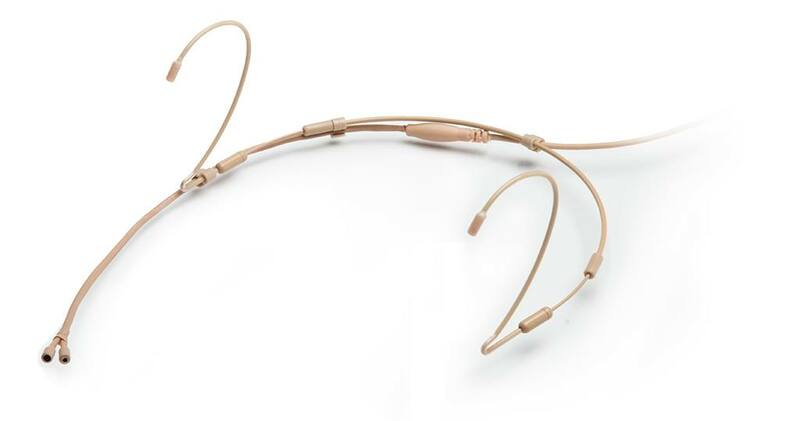 They integrate two of the company’s important first-to-market features in miniature microphones: IP 57 waterproof rating, and the “unbreakable” headset boom bendable to 360° to bolster durability. All this unlocks new conveniences and simplicity for broadcast, audio, and production techs as well as please the presenters and performers they serve. The double mic’ing setup of the CO2 Confidence Collection comes in three styles: headset, lavalier, and in Point Source Audio’s patented EMBRACE embodiment. The mics’ new petite form factor is based on the company’s existing omnidirectional single element microphones of a mere 3mm – and that are all waterproof. The backup element is fashioned to the existing mic in tandem and where the independent and continuous wire paths are integrated into a singular wire jacket giving audio technicians a clean alternative to cumbersome cable dressing. The mic cable splits approximately nine inches above connection to the body-packs to allow ample room for separation of the transmitters. The Confidence microphones feature precisely matched elements to a near identical ±0.5 dB difference. Whereas a usual method of redundant mic’ing can be achieved with two separate microphones, audio between them may vary due to differences between the microphone brand, the microphones’ age, as well as variances in the specifications. The Confidence Collection solves this challenge with elements that are factory matched in frequency and sensitivity – so when a vital backup is initiated, any difference in audio performance is nearly undetectable.